I have to admit that initially I was a bit skeptical about the effectiveness of acupuncture. I was amazed at how much better I felt after just two treatments. Acupuncture was curing ailments that I had not intended to treat including neck and back pain. 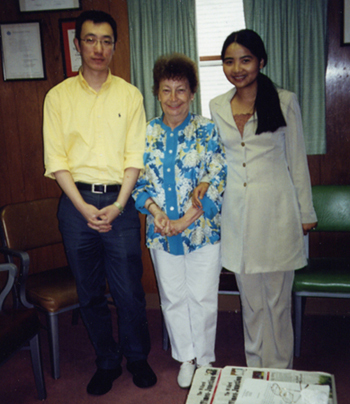 Gao and Jing have been very professional and informative. 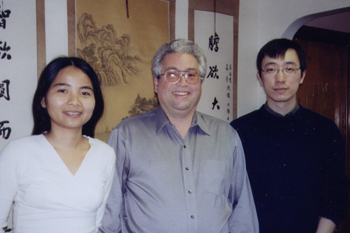 Both my husband and father are now new patients at New Realm Acupuncture Center. I never had acupuncture before. I thought it would hurt a lot. But there really is no pain in it at all. I feel as if it has helped a lot. My back problems are not so bad any more. New Realm has helped me a lot and I thank them very much for their work. I am very glad that I tried acupuncture. My severe back pain is gone now. This was something my chiropractor could not help. It is too bad people do not try acupuncture more. I respect the knowledge require to perform acupuncture and I will always come back if I ever have problems again. My teeth were sore, my bite was off, and my pain made me very uncomfortable. My dentist said try an acupuncturist: “I treat only part of you; he will treat all of you”. My teeth, sinuses, back pain, shoulder pain, and any pain I am unable to think of has been relieved. New Realm Acupuncture has been an answer to many discomforts. They are caring and listening couple that want to get you onto the road of recovery. Nagging pain, discomfort and stress can interrupt our daily life. 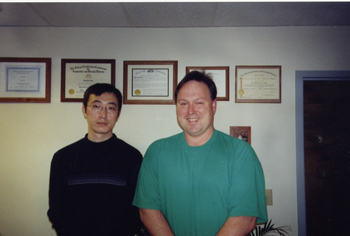 Visit Dr. Gao and Jing, and you will be on the road to a better life. I actually was looking forward to any new treatment to help my poor aching back that I have had for years and I finally did!! Thank God to two great helpers-Dr. & Mrs GAO! I never knew when the needles were put in or removed because it is not painful at all. Will miss them when I move to Florida but not to Ohio’s miserable weather. I had suffered with low back pain for many years. A neurologist and an orthopedic doctor diagnosed it as myofascial strain and told me to “live with it”. I saw New Realm Acupuncture at the Asian Festival, read the pamphlet, studied and read facts about acupuncture myself and had 8 weeks’ treatment. My back is much more flexible, much less pain now and I am able to lift weights and take long walks again. Acupuncture has also relieved my stress and tension, given me a balanced appetite. Meaning while, Chinese herbal therapy (moxibustion) has helped my sinus and eczema! I am so grateful! I have referred many people to New Realm Acupuncture! Thank you!